NVIDIA has recently unveiled a 7 inch tablet running on their latest Tegra 4 processor. The tablet is manufactured within the NVIDIA unit and its going to be priced at just £179.99. NVIDIA Tegra Note tablet is going to be available soon in the market and its definitely a better option in the budget price section. Let see what all specifications Tegra Note tablet got for users. The tablet has got 7 inch display added on IPS LCD panel and it offers resolution of 1280×800 pixels. So you can expect rich quality content on display of this tablet. NVIDIA is going to provide the latest version of Android in the tablet i.e. the Jelly Bean 4.3 (I hope). This new version of Android is definitely going to provide lots of additional features to the users along with smooth performance and impressive battery life. The Tegra 4 processor is quad-core Cortex A15 processor (clocked at 1.9GHz) which got an additional 5th core to manage battery life of the device. The 5th core is named as “battery-saver”. The GeForce GPU is also there in the tablet with 72-cores. These all cores are bundled in the single Tegra 4 chip and user can expect impressive performance, graphics and battery life. There are no words spoken at the RAM storage inside but there is 16GB internal storage. Users can also add the storage via microSD card of maximum 32GB size. Connectivity features like Wi-Fi and Bluetooth are definitely going to be there along with USB and mini-HDMI ports. The tablet is said to provide 10 hours of HD video playback battery life which seems really impressive. 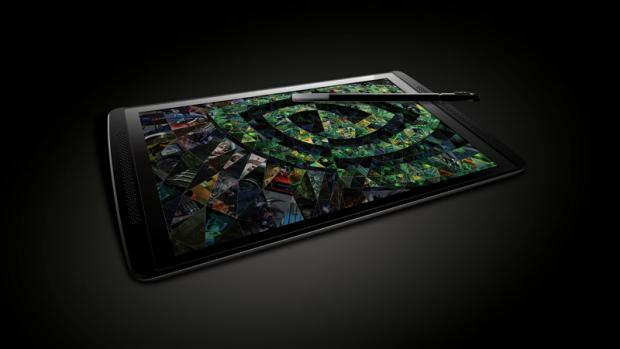 NVIDIA is going to start pushing Tegra Note tablet in UK first and it will be available in rest of the countries later, where they can see market for this tablet. One thing which got clear in my mind after reading about this tablet is that NVIDIA is doing this to bring manufacturer’s confidence back into their processors. NVIDIA is getting heavy competition from the Qualcomm’s latest Snapdragon processor family. Let see what fruit this tablet brings for the NVIDIA and also for the users.